RC Channel part number: WT91090. This set is fit almost brand original 1.9” rim. It is fit all RC Channel 1.9” aluminum wheel. 4 x Plastic scale wheel. 20 x Wheel screw M2x6mm. 20 x Wheel screw nut. 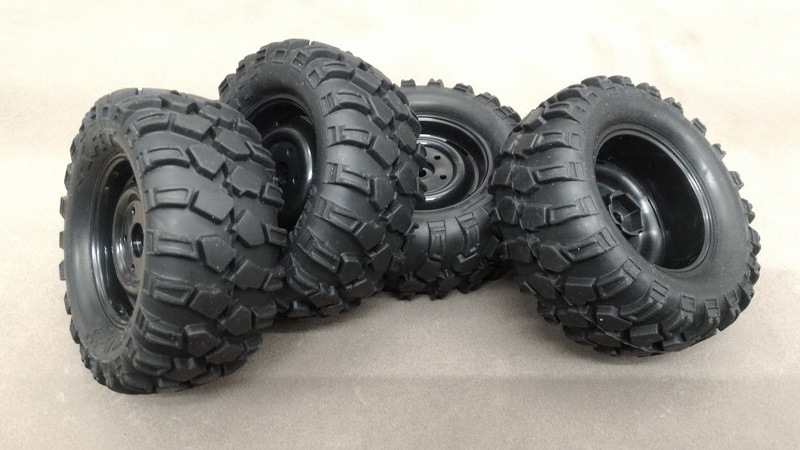 4 x Diameter 90mm Scale Tire. we have no control over other manufacturers products. 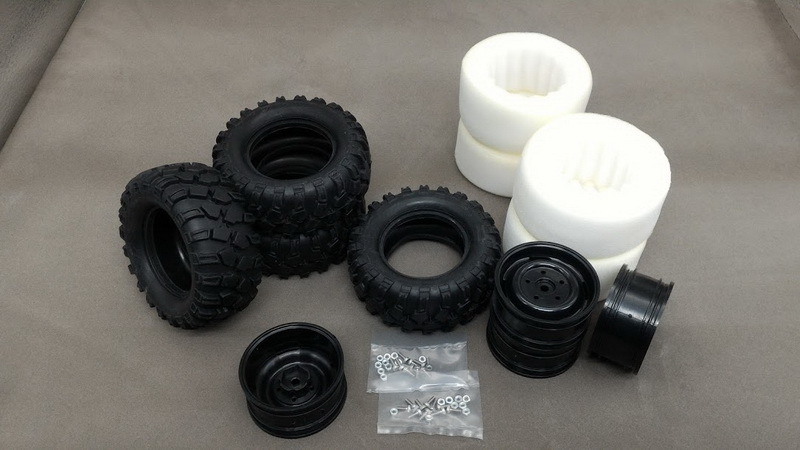 So we can only tell you that RC Channel Tires and Wheels work together and TAMIYA original wheels also good work with RC Channel tires. In some cases our Wheels and Tires will work with other brand Wheels and Tires, but we can not guarantee the outcome.